Babyoye presents set of 3 sleeveless cotton vests for your little champ. Pullover style provides fuss free dressing. 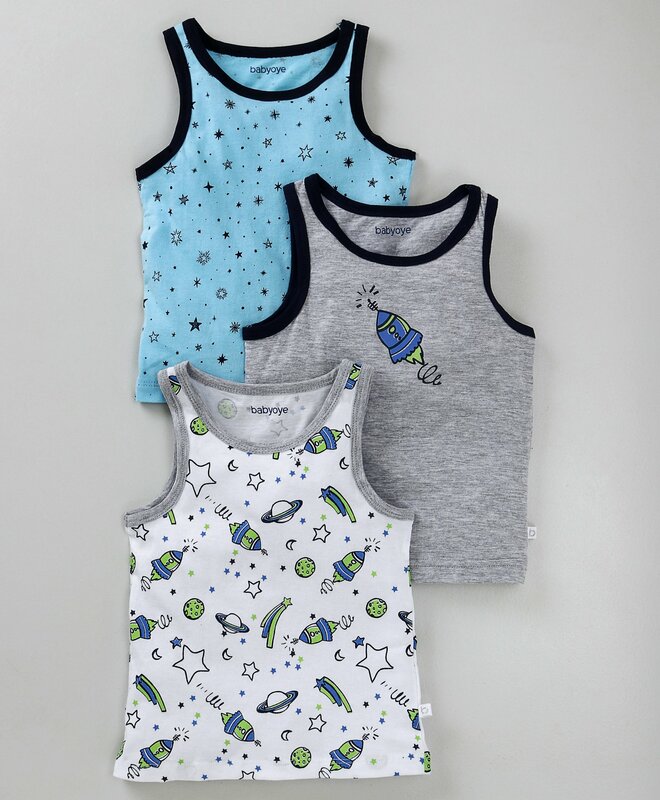 These vests will keep champ comfortable all day long. Comes in attractive designs. Material of the product is soft. Looks great on the baby.